We have stopped to eat lunch at Multnomah Falls. 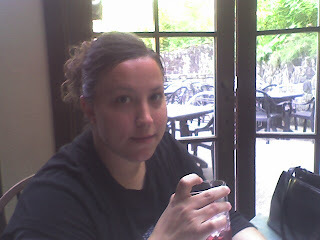 Here is Kristin drinking her Shirley Temple. We will post more pics when we can stop and get some wifi access (I am posting this from my Palm Treo). Stay tuned.